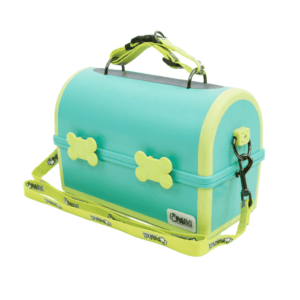 Did you know that My Pet Pail has a doggy bag dispenser built into the back side of the product? It’s convenient and hassle-free when you are on the go! Our waste bag dispenser is refillable! 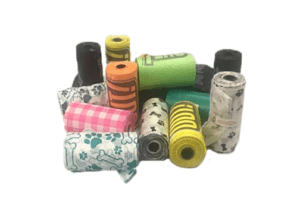 Once you use up your first role of doggy bags, order some more on our website! If you lift up the interior of the home feeding section, you will find an upright peg that sits in between the top bowls. You can insert the new doggy bag roll in between the to vertical pegs and slip the next bag through the container opening. Now you are good to go for your next adventure! 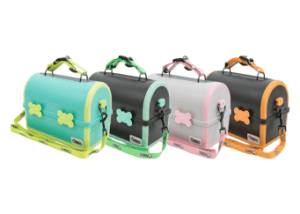 My Pet Pail is an all-in-one travel aid for pet parents. My Pet Pail, which is shaped like an old-time lunchbox, gives you ample room to store food and water. There are two leak-proof water vessels and 4 different sized bowls for food. The lid has a built-in lid to keep food fresh. If you remove one of the water bottles you will find places to store packaged food containers as well. Both the shoulder strap and the handle have another purpose. 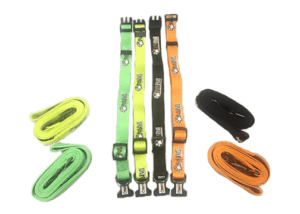 The handle is actually an emergency collar and the shoulder strap is an emergency leash. There is space under the bowls for ice packs although they would have to be small. The entire lid portion can be removed so that the bottom can be used as food and water bowls for everyday use. My Pet Pail holds water, food, packaged food, and waste bags all in one accessory. 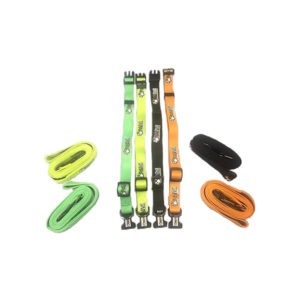 The handle and shoulder strap also double-down as a collar and leash respectively. 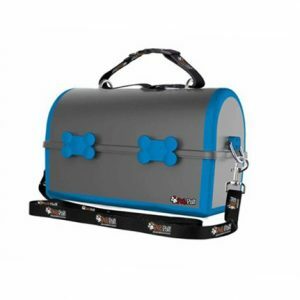 Having all that gear in one place is very convenient especially for those pet parents that are always on the go with their furry kids. 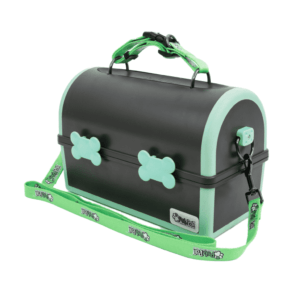 My Pet Pail is perfect for pet parents who are always on the go. My Pet Pail can be pre-packed and stored in the car for last-minute excursions or you can fill it before you leave for vacation. My Pet Pail is designed to hold up to 3 days worth of essentials. You can purchase your own My Pet Pail and additional doggy bags or collar and leash sets at mypetpail.com or find us on Amazon and Etsy!